Hello there! 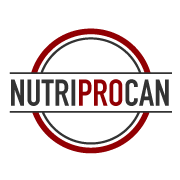 My name is Nesrine Cheikh and I am a Registered Dietitian with NutriProCan. Here are a few things about me! I was determined to be a dietitian ever since I gained a passion for nutrition and health when I was 11 years old. I come from a family of health professionals (doctors, pharmacists, dentists), but I always knew I wanted to be involved in preventative medicine. I was diagnosed with an autoimmune digestive disease at a young age and dealt with many nutrition-related issues; however this provided me with the opportunity to gain more knowledge, experience and passion to help others heal using food as a form of medicine. I went on to complete my nutrition degrees at Brescia University College. I have a Bachelors of Science, Post-Degree Diploma and just completed my Masters degree; all in the area of nutrition. I have always been passionate about learning something new, and strive to be on top of the latest research and articles relating to nutrition and physical activity. My hobbies include cooking, reading, weight-lifting, art, taking care of my two furry kitties and going to amusement parks! I have always enjoyed living life on the edge and love to challenge myself every day, no matter how scary something may be. I am so incredibly passionate about my career and have been able to help many people with multiple health conditions such as diabetes, high cholesterol, high blood pressure, gastrointestinal diseases/conditions, arthritis/fibromyalgia, COPD as well with general weight loss by using individualized nutrition approaches. Knowledge is power and I will be your trusted guide navigating nutrition science, information, and the latest trends! There is no “one-size fits all” approach to a healthier lifestyle and I truly believe that dietitians are uniquely qualified to provide both behavioural coaching and evidence-based nutrition recommendations to support the journey to optimal health. I would absolutely love to help you reach your health goals, whatever they may be and will be there with you every step of the way.